Founded in 1999, Missy Floyd has devoted her teaching to the belief that the dancer strictly trained in classical ballet can achieve proficiency in any dance discipline. Floyd has stood by this philosophy since the opening of her studio 17 years ago. 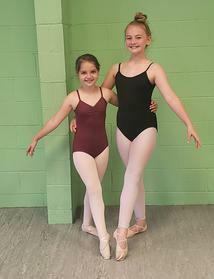 Shenandoah Academy of Dance is individually owned and operated right here in Buena Vista, VA. Since Missy opened her doors in 1999, students of the Academy have gone on to major in college dance programs and have gone on to professional careers in dance. Each student is encouraged to be their best and is looked at as an extension of Missy's own family. Other companies may offer similar services, but the Shenandoah Academy of Dance offers a truly nurturing and loving environment for the youngest little dancer to the dancer young at heart. Missy began her training in Pennsylvania at the age of 3. She has studied with the late Joyce Reeves, Budzynski Studio of Ballet, Dance Elite, the School of the Pennsylvania Ballet and the Joffrey Ballet. Her instructors have included such notables as Michael Loupazanski, Lupe Serrano, Cherie Noble, Gloria Govrin among many others. Her professional training led her to freelance as a professional dancer with Dance DelBello, Dance Elite and other companies in the northeast. Missy is certified to teach the Progressing Ballet Technique Method. Look for upcoming classes in this technique beginning in the Summer 2017! 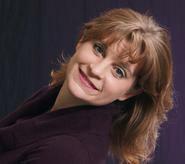 Missy began teaching classical ballet in Rockbridge County since relocating here in 1991. She has taught at the former Lexington School of Dance, Washington and Lee University, privately and, for the past 11 years, Missy has served as adjunct faculty at Southern Virginia University. In 1999, she founded the Shenandoah Academy of Dance, originally in Lexington. In 2008, she moved her studio to Buena Vista. Since then, the studio's enrollment has more than tripled in size and remains the only studio devoted first to the art of classical ballet with adjunct classes in modern and tap. In the winter of 2012, Missy began bringing in the great Russian Ballet Master, Valery Lantratov, to help further her commitment to furthering the art of classical ballet. Mr. Lantratov continues to return to the studio each summer for week long intensives. In December 2012, Missy founded her ballet company, Shenandoah Ballet, to create a performance opportunity for those dancers dedicated to the classics. Unique in its traditions, the Shenandoah Ballet presents two full-length productions under Floyd's direction each year.